InterContinental Hotels Group (IHG), one of the world's leading hotel companies, has signed a management agreement with Fiji-based property development company Avoser Ltd to open the first Holiday Inn Resort in Fiji. The 173-room resort will open its doors to guests in 2018. Located adjacent to the entrance to Denarau Island, Holiday Resort Denarau is well positioned for access to Port Denarau marina – gateway to the renowned Mamanuca and Yasawa Island groups – and Nadi Town, just five minutes away. The resort will also be a short ten-minute drive from the international Airport via a new expressway which is due to open next year. Holiday Inn Resort Denarau Island will be the company's third property in Fiji, joining Holiday Inn Suva and InterContinental Fiji Golf Resort and Spa. With 152 rooms and suites and 21 specially designed KidSuites and Family Suites, the resort will accommodate the growing demand for leisure and family travel in Fiji. Guests can lounge and relax at any of the three outdoor resort pools, rejunevate at the day spa and then be entertained at the resort's nightclub in the evenings. At the all-day dining restaurant and bar, young travellers can enjoy all inclusive meals during their stay as part of the Holiday Inn brand's ‘Kids Eat & Stay Free’ programme* before heading off for an afternoon of fun at the dedicated Kids Club. Function spaces are also available at the two meeting rooms in the resort. Karin Sheppard, Chief Operating Officer, Australasia, Japan, Korea & Asia, Middle East and Africa (AMEA) Franchising, IHG said: “We are always looking for the right opportunities to expand our presence and are delighted to be working with Avoser Ltd – who are not only familiar with the geography but also very experienced property developers – to develop Holiday Inn Resort Denarau Island in yet another key island destination in Fiji. The hotel is set to be a great example of a Holiday Inn resort and we’re confident it will be a popular choice amongst our guests when it opens in 2018." 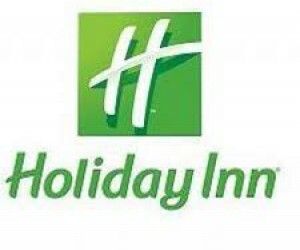 Holiday Inn is one of the fastest growing hotel brands in the world, with 85 hotels and 19,750 rooms open across the Asia, Middle East and Africa (AMEA) region and a further 50 properties in the company's development pipeline in AMEA. Globally there are 1,200 Holiday Inn properties open and 269 properties due to open within the next three to five years. IHG has 39 properties open in Australasia across four brands: InterContinental, Crowne Plaza, Holiday Inn and Holiday Inn Express, with an additional five properties due to open in the next three to five years.